Advanced Window Solutions LLC is the area's largest dealer of specialty films. We install commercial and residential architectural window film, as well as safety / security, anti-graffiti, and decorative films. Applications of both Vista and Llumar window film will greatly enhance the look, functionality, comfort, and energy efficiency of all windows. The use of glass in architecture, while beautiful, creates a host of problems ranging from excessive glare, heat build-up and high energy costs due to the premature fading of carpets, furniture and draperies. Window film could alleviate these problems while providing increased comfort and lower overall energy costs. Vista's wide range of glass enhancement film puts a new world of creativity, functionality and flexibility within your grasp. 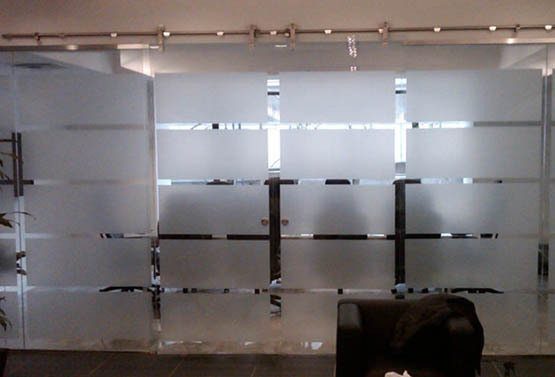 With these specialty films, you can achieve the look of etched glass at a fraction of the cost. Vibrant colors and patterns are available for custom visual effects. Improved privacy is possible with a wide variety of matte films. Explore the unlimited design possibilities afforded by our range of specialty films. New York NY Decorative Window Film, Architectural Residential & Commercial Window Tinting, Home & Office Tint. Vista Film Dealer New York.